History - Soroptimist International of Wichita, Kansas, Inc.
Soroptimist, is a coined term meaning “best for women”. A group of women in San Francisco, in 1921, founded the Soroptimist International of America. There are now over 75,000 clubs in 133 countries. 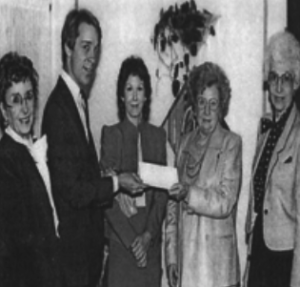 Soroptimist International of Wichita, chartered in 1936, was founded by sixteen business and community leaders. The group was committed to community services through a variety of projects and activities. During World War II, the group, working with other organizations, sponsored a canteen at the railroad station. 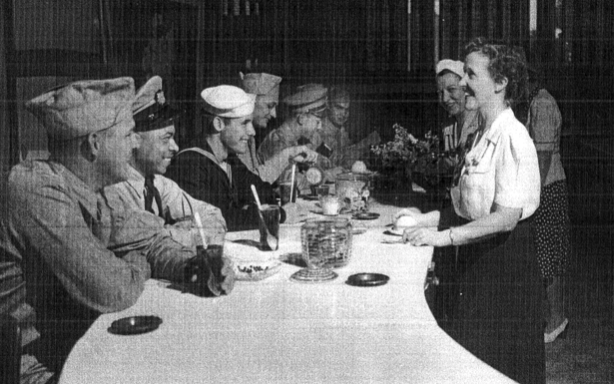 Members served food and drinks for servicemen/women as they left for the war. Following the war, the club supported programs for Veterans and supported projects at the local VA Hospital. 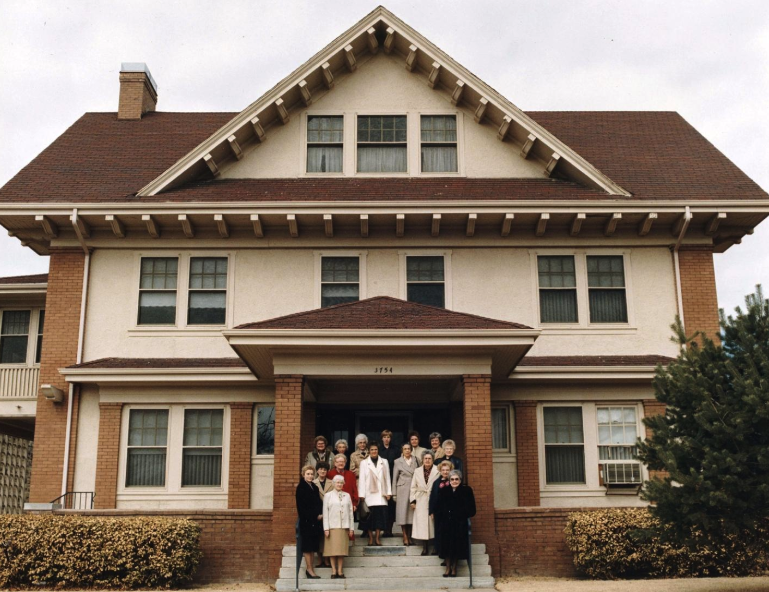 In 1950, Soroptimist purchased a house on Douglas that served as a meeting place and fund-raising venue for almost 40 years. The house and its furnishings, including many antiques and valuable memorabilia were sold in 1988. Throughout the 1950’s and sixties, Wichita Soroptimist supported scholarships and loans for nurses and for students at the Womens’s Medical College. Other support went to Junior Achievement groups, YWCA, Wichita Art Association and the Wichita Library. 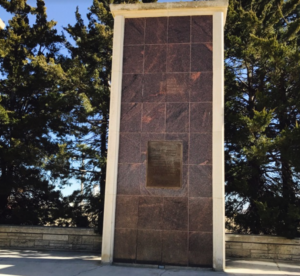 In addition, through the leadership of Olive Ann Beech, the Kansas chapters of Soroptimist raised funds for one of the pylons at the Eisenhower Museum in Abilene, where it still stands. 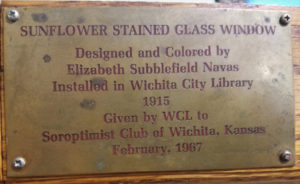 For the 1960’s through the early 80’s, the club supported a variety of projects including Junior Achievement, Monica’s House at the YWCA, Booth Memorial Hospital, Kansas Health Museum, Sedgwick county Zoo, public television, Women’s Medical College, Wichita Art Association and the Health and Education Museum in Halstead to name a few. In 1985, the international organization decided to focus its mission statement on women, declaring that the Soroptimist Club is a “global volunteer organization working to improve the lives of women and girls through programs leading to social and economic empowerment”. With this new mission in mind and following much consideration of revenues and expenses, the club decided to sell its house with the proceeds establishing an endowed scholarship at Wichita State University. The scholarship was declared to be the “first ever adult education scholarship fund” at Wichita State University. This scholarship continues today in the tradition of supporting women, usually heads of householders, seeking to improve their future through education. 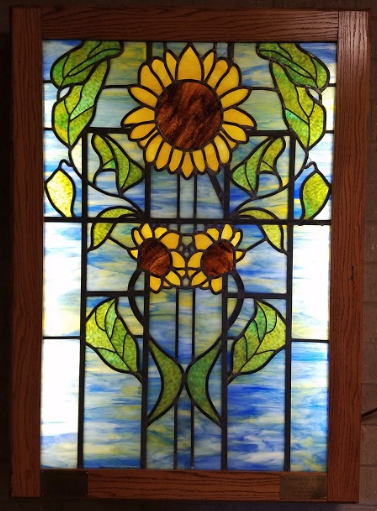 The furnishings and antiques from the House were sold for future projects while some were donated to the Old Cowtown Museum, Wichita Art Association and a special sunflower window is still displayed at Botanica. Wichita shelters: Harbor House and Wichita Family Crisis Center (formerly YWCA) provide emergency housing, support & advocacy for women and families leaving violent domestic situations.